Clients can come to Macemain for a unique architectural structure bespoke design service for non-standard or special projects where a particularly sensitive environment, restricted location or design aspiration requires a unique solution. Macemain + Amstad can achieve the design you need! 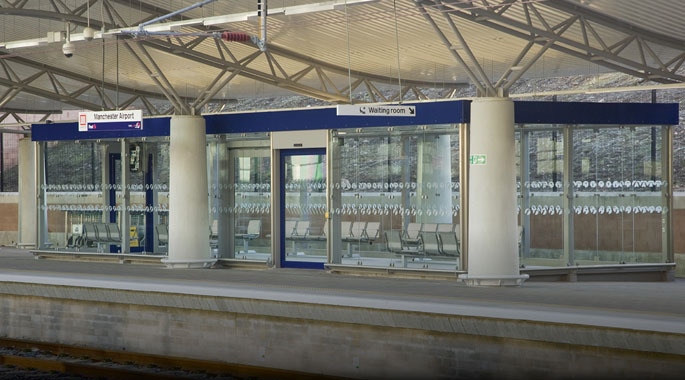 Macemain + Amstad’s modular Paragon Anti-Vandal (AV) Shelter is the preferred platform passenger waiting shelter for many train operating companies. 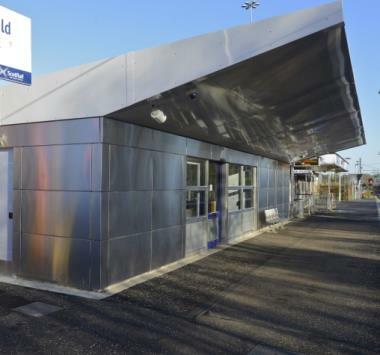 The original Paragon AV Shelter was designed in 1998 by Macemain in conjunction with Rail Track (now Network Rail) with the specific brief to design out vandalism together with reducing maintenance costs. The Paragon remains the original anti-vandal shelter. 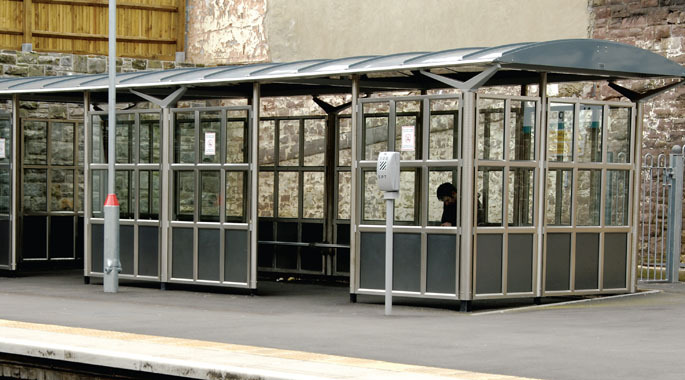 Macemain offer a range of covered walkways suitable for the public transport industry, rail, bus and air; schools and other educational establishments; hospitals, care homes and other health care establishments, and; commercial companies. Covered and glass walkways provide a safe, comfortable and pleasant environment for people moving between buildings or through open space. 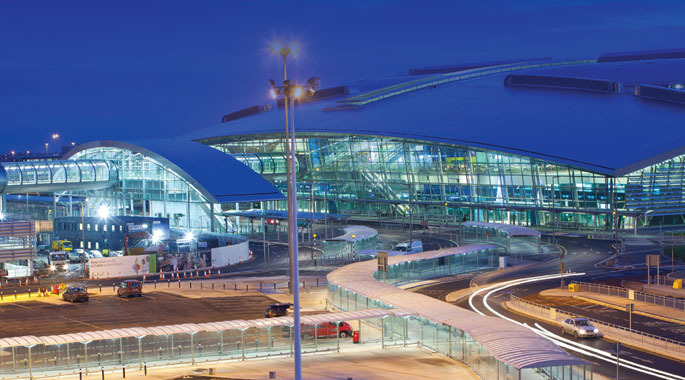 Macemain + Amstad enable our clients to add value to their rail station developments. The opportunity exists for the rail industry to shape the major entrance ways into our cities, towns and rural communities through attractive and thoughtful station design. 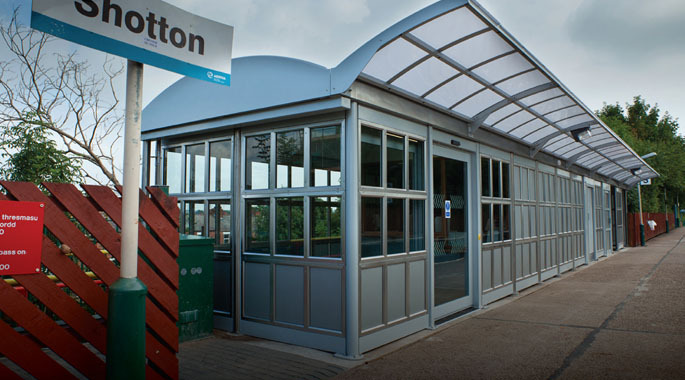 Our successful ‘Paragon Shelter’ design has been utilised to develop a range of DDA complaint fully enclosed waiting rooms. 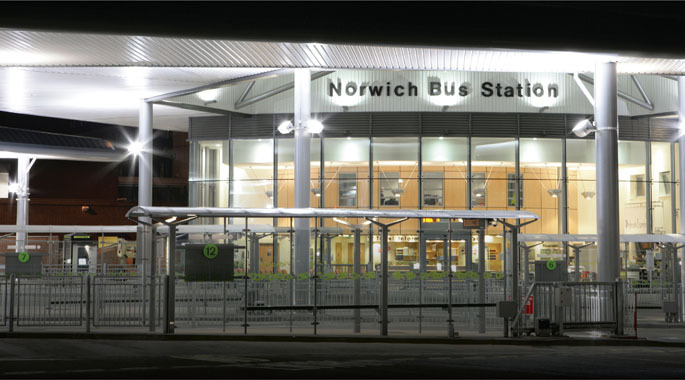 Macemain + Amstad specialise in quality bus shelter design and manufacture for bus stations, transport interchanges, gateway developments and town centre public realm improvement schemes. 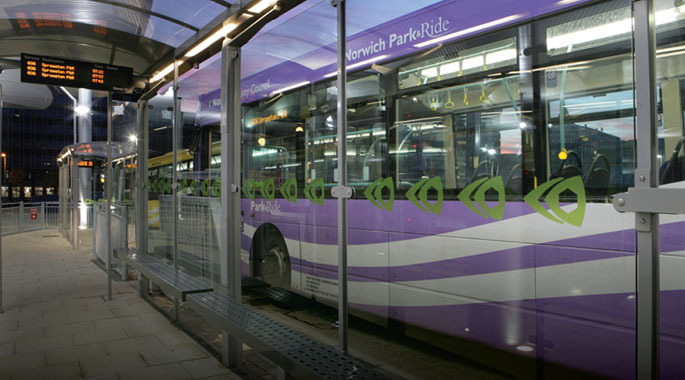 Clients can come to Macemain with the assurance that our experience and expertise will add value to their projects and result in quality bus shelters that will create a strong ‘sense of place’ for our client’s developments. The rail industry can come to Macemain for a one-stop-shop approach to the delivery of station infrastructure projects. In response to our client’s desire to continually improve facilities for the rail passenger we have taken the design concept of the fully enclosed automated waiting room to the next level by enabling our clients to provide the rail passenger with a greater variety of services and facilities within a single unit, ‘The Modular Station Ticket Office’. 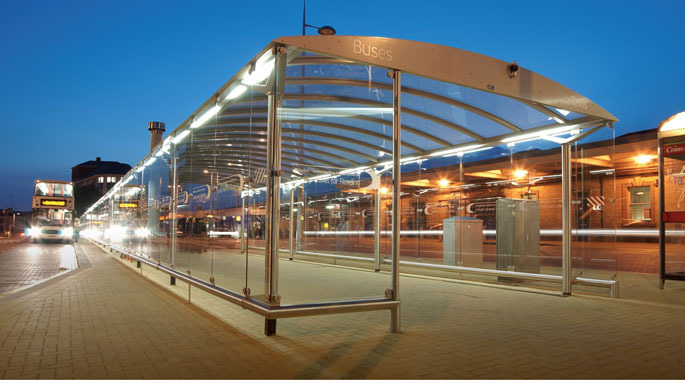 Macemain provide quality bus passenger infrastructure to our clients from individual bus shelters, to extensive bus shelter island stops, covered walkways and glass walkways. 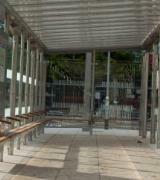 Macemain specialise in bus station design and bus terminal design. Macemain offer a range of contemporary canopies. Potential functions include: entrance canopies; lean to canopies; building linkages; ticket vending machine canopies and gate line canopies; stairwell canopies; school canopies, covered play areas, outside classrooms and school shelters; youth shelters; car show room canopies and so on. 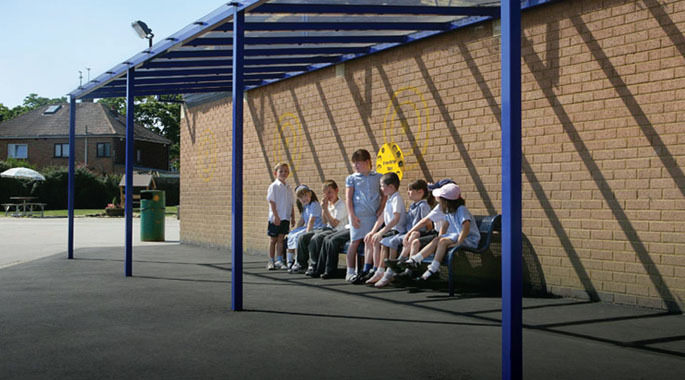 Macemain + Amstad offers a range of cycle parking products from individual cycle stands and racks to cycle shelters and high security compounds which compliment our bus shelters, school shelters, covered walkways and canopies. 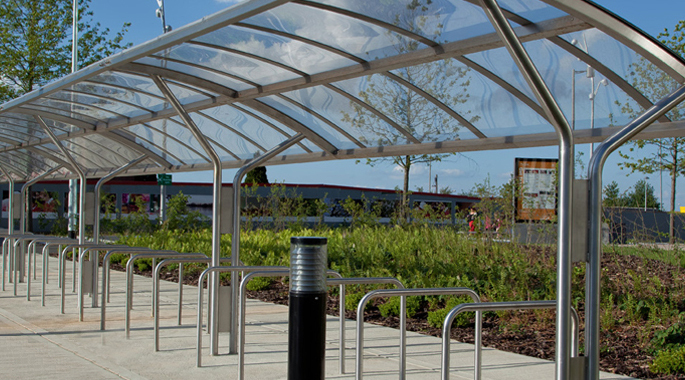 Our cycle parking is suitable for use within the public transport industry and is particularly attractive to schools and commercial developments. 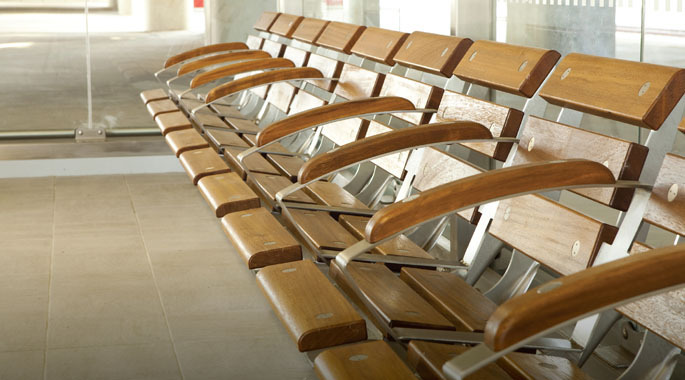 We offer a comprehensive range of contemporary and co-ordinated street furniture: seating; steel and timber benches, school benches and stools, perch seating, picnic seating; steel bollards; outdoor litter bins; street furniture bins; bus shelters; cycle shelters, racks and stands. The latest addition to our street furniture is the ‘Prima Seat’ a new range of DDA compliant seating. Experienced TIG Welder Fabricator required for permenant position.